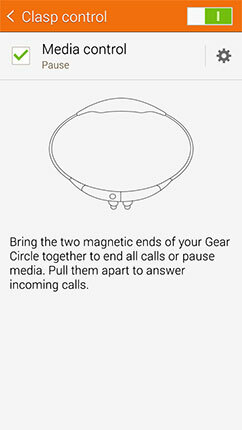 Gear Circle: What settings can I access via the Samsung Gear application? 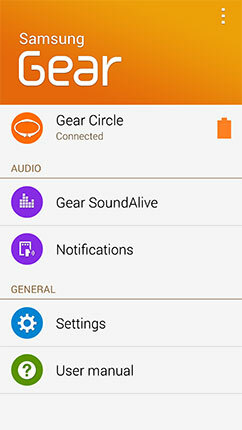 You can manage settings for your Samsung Gear™ Circle using the Samsung Gear application on your mobile device. 3. Touch Settings to view and change your Gear Circle settings. 4. 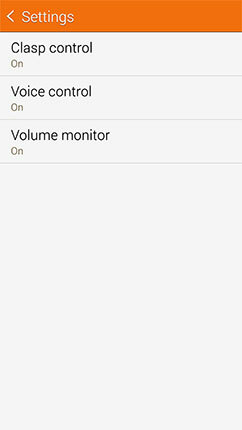 Clasp control, Voice control, and Volume monitor are turned on by default. 5. Touch Clasp control to view and change your Clasp control settings. You can touch the slider to turn Clasp control off . Unmark the Media control checkbox to turn off the feature. 6. 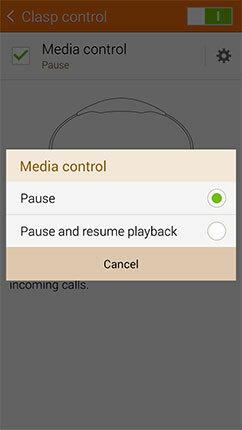 Touch to select whether clasping and unclasping your earphones should Pause or Pause and resume playback when you are listening to compatible media. 7. 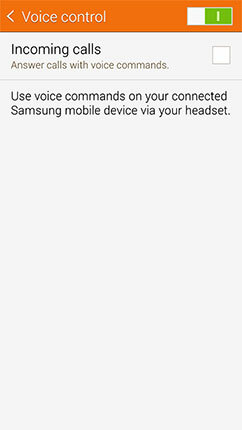 Touch Voice control to view and change your Voice control settings. You can touch the slider to turn Voice control off . Mark the Incoming calls checkbox to answer calls on your connected mobile device using voice commands on your Gear Circle. Note: You may need to set a default voice control application. 8. 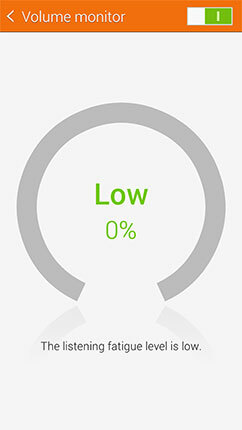 Touch Volume monitor, review the information about the feature, and touch OK. Mark the Do not show again checkbox to skip this message in the future. 9. 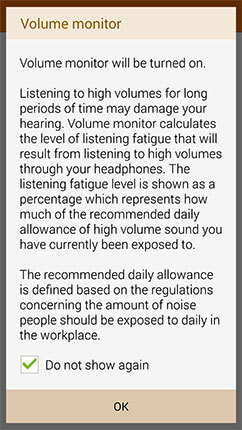 Your device will display the listening fatigue level based on the volume of your Gear Circle earphones. You can touch the slider to turn Volume monitor off .